Charming and elegant, the Calla ballerina flat is revamped with a tougher edge this season. 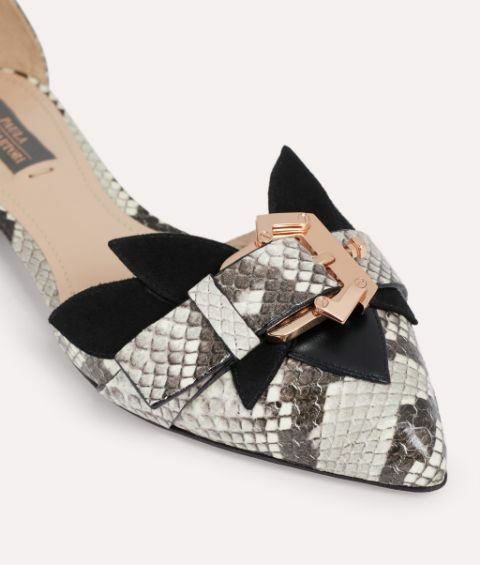 This pair is crafted from beige elaphe skin that's perfectly contrasted by black suede petals at the vamp and a rose gold tone Paula Cademartori buckle. The pointed toe and delicate ankle strap makes them a pretty yet smart alternative to heels.